On the cutting edge of Humanities research and scholarship in the new millennium, the Early Modern Center, housed in the UCSB English Department, embraces technologies of the future to engage in studies of the past. 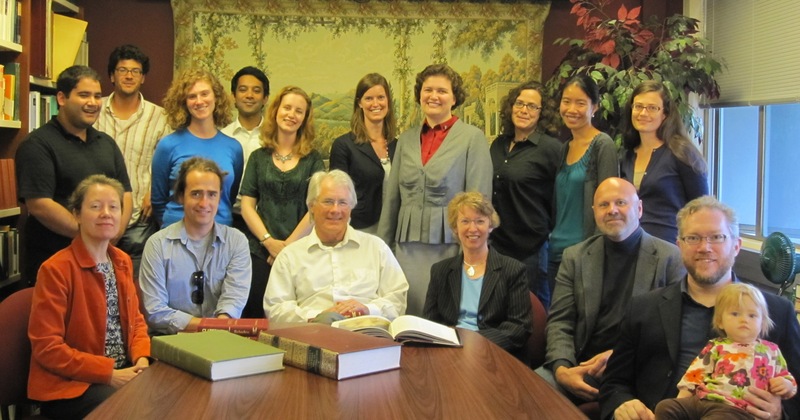 The Center is designed to mobilize the department's strength in sixteenth-through eighteenth-century studies, and is maintained by seven faculty in the early modern field. The Center provides these faculty and their students with a space designed to promote collaborative research and teaching, including a specialized seminar area, resource library, and networked computers. State-of-the-art computing equipment is supported by the latest database resources in the field, including the Early English Books Online, consisting of all extant books published in English from 1475-1800, and the Eighteenth Century Collections Online (ECCO), 1701-1800. An annual theme guides our research energies from the trivial, such as the images appearing on our Website, to the consequential: annual conferences featuring the field's most renowned scholars. The Center's cohesive use of space and of faculty and student energies, its access to advanced electronic materials, and its integrated annual themed programs create the most sophisticated matrix for early modern studies available today.